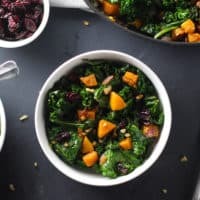 This Roasted Butternut Squash and Kale Salad is so easy to throw together and a perfect salad for cold winter nights! I’ve been loving anything warm these past few weeks with these frigid temperatures. The best part is that it fits in perfectly with my resolution. Praise hands emoji, y’all. Another exciting thing happening today is another giveaway!! 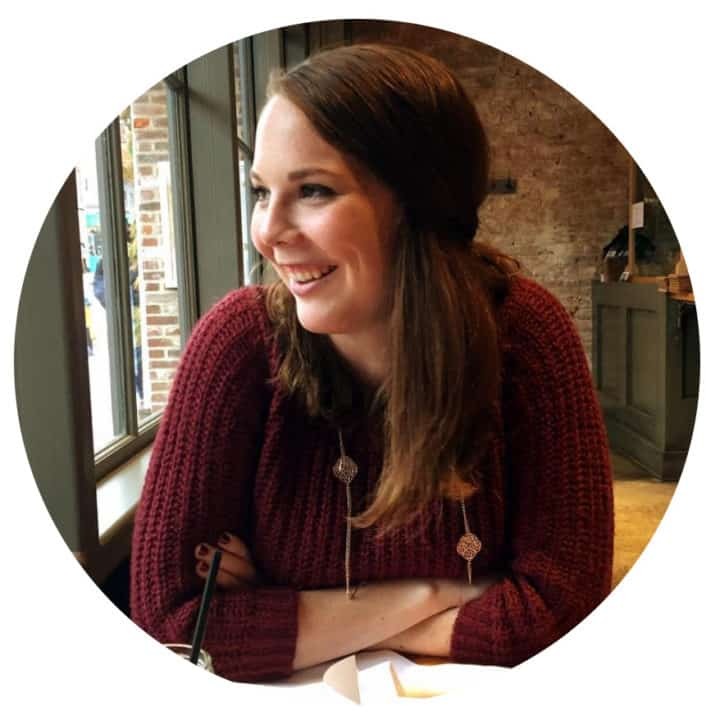 I’ve teamed up with Lindsay from Veggie Balance and some other great gluten-free bloggers to celebrate Lindsay’s three year blog birthday! I know how excited I was for my one year birthday so three years is just incredible! Scroll through to find all the other awesome gluten free recipes and giveaway link! Gluten free recipes are near and dear to my heart with family members that have Celiac’s or sensitivities. I’ve even been put on a gluten free diet when my doctor’s thought I had Celiac’s and I know how hard it can be! So I’m so excited to share these awesome recipes with you. 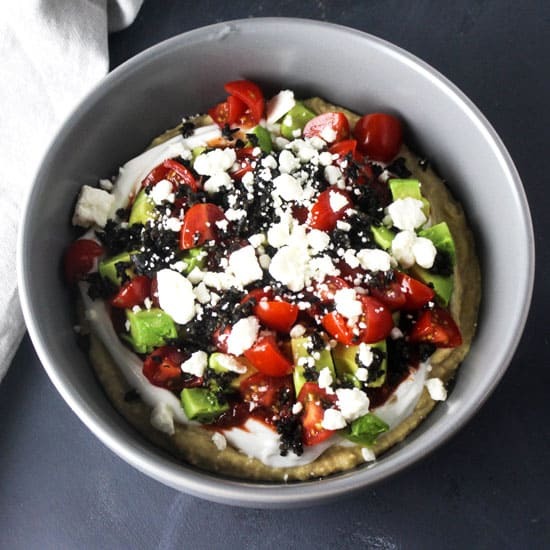 Check out some of these blogs for recipes like Avocado Taco Bowls (um, yum! ), Paleo Chocolate Truffles, or a Winter Citrus Salad. The rest just look just as incredible, but you’ll have to visit them to find out what they are! 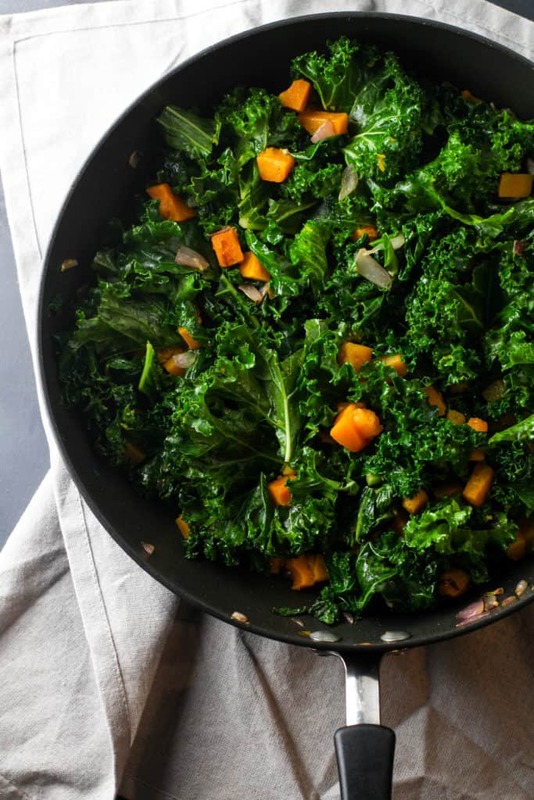 Now this salad… I’m a recent kale convert… I know, I know. I’m about 3 years late to the game, but better late than never, right?! I had only tried kale raw and, to be honest, it wasn’t my fav. After sautéing it with garlic and onions, my eyes opened to the world of how awesome kale is. It’s got that bitter and tender bite that I loveee. 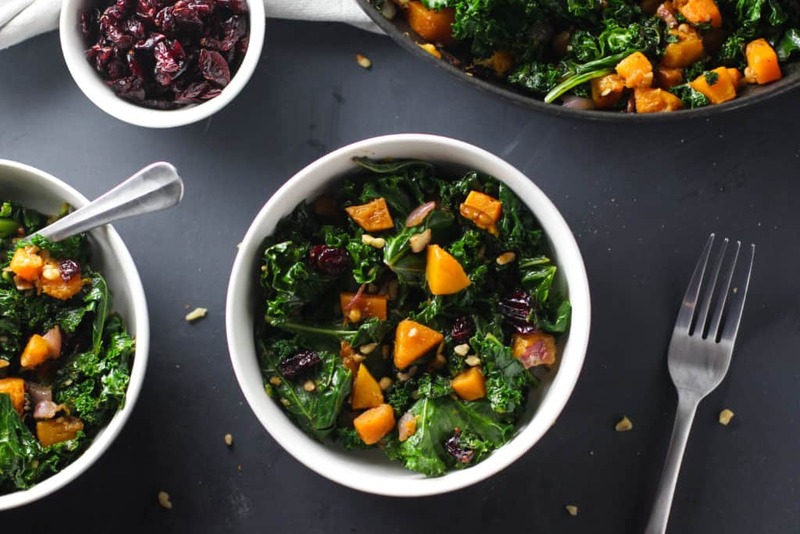 Pair that with butternut squash and it’s a match made in heaven. I’m a firm believer that butternut squash can do no wrong so it was an obvious addition. The little balsamic vinegar gives it a nice acidity without needing a salad dressing while the dried cranberries and crushed walnuts give it a tart and crunch that round out this salad perfectly! I’ve made a big batch of this on Sunday to bring to work throughout the week and it’s been a perfect lunch. 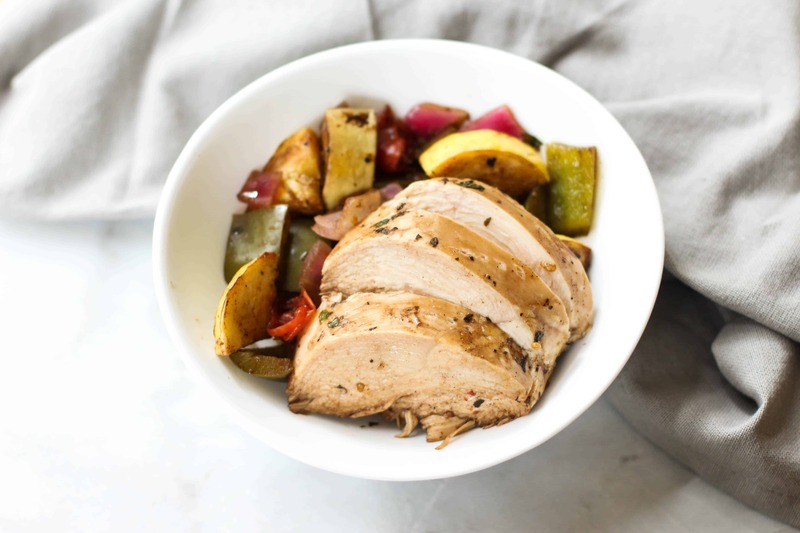 Add in some chicken or ground turkey and it’s a perfect meal for the whole family! Be sure to enter the giveaway! Lindsay put together this amazing spread for one lucky winner to get! and to really celebrate… a $50 Visa Gift Card! 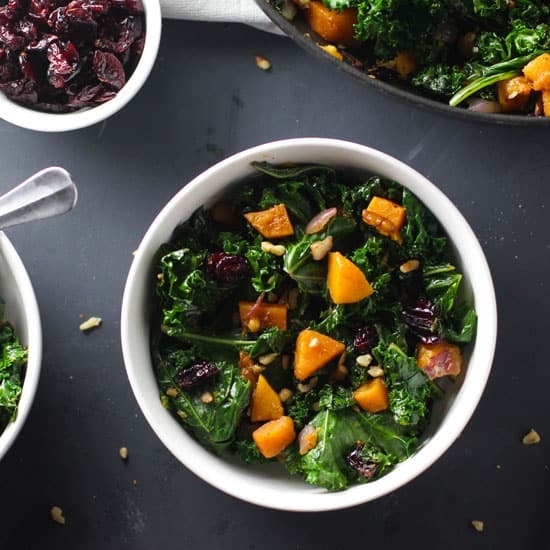 This Roasted Butternut Squash and Kale Salad is so easy to throw together and a perfect salad for cold winter nights! 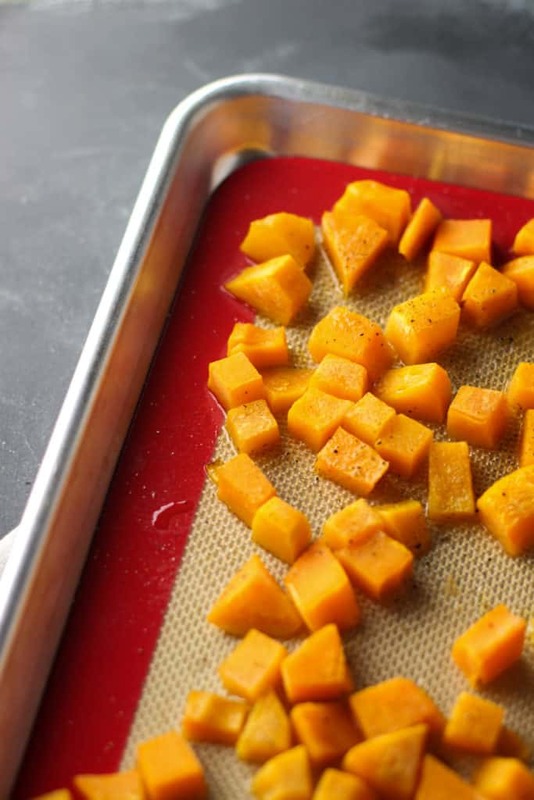 On a baking sheet, spread butternut squash out and pour 1 tbsp of the olive oil over. Sprinkle salt and pepper and mix around so everything is evenly covered. Cook for 15 minutes. While butternut squash is cooking, in a large saute pan, heat remaining olive oil over medium heat with garlic for 2-3 minutes. Add in red onion and cook until translucent, about 4-5 minutes. Add in kale and cook until bright green and wilted, about 3-4 minutes. 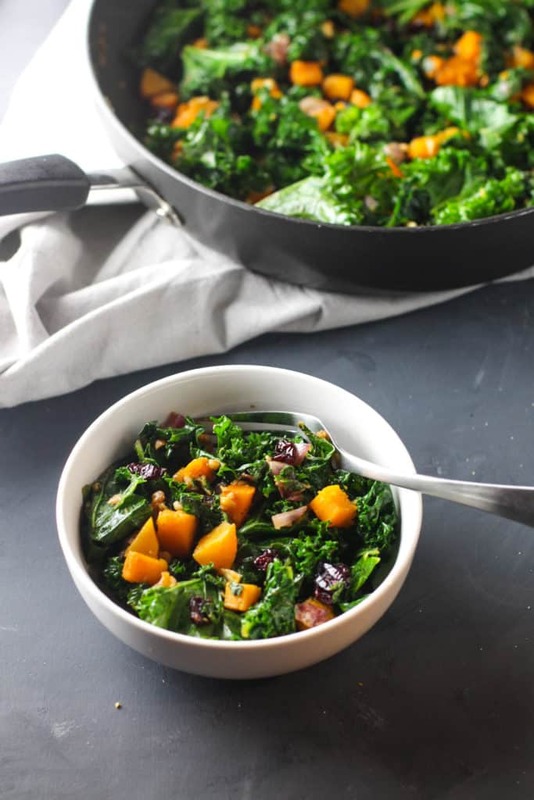 Once butternut squash is done, add into the pan with the kale. Pour balsamic vinegar over mixture and stir to ensure it's evenly covered. Let cook another 2-3 minutes. Top with dried cranberries and crushed walnuts. Serve warm and enjoy!